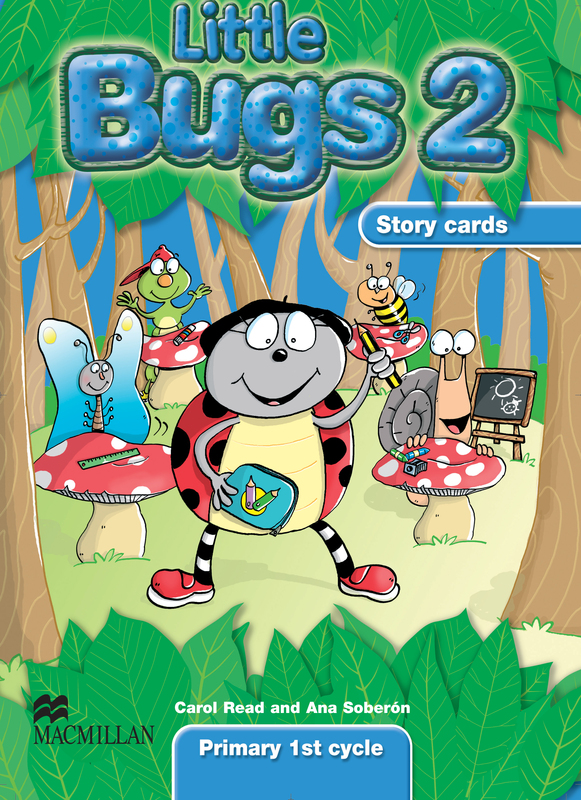 The Little Bugs 2 Story cards help to tell the stories in Little Bugs 2 and provide a flexible teaching aid. The pack includes 48 full-colour A4 size story cards that consist of eight cards per story. Each card has an enlarged version of the illustrations and provides a visual reference for the pupil’s during the story.